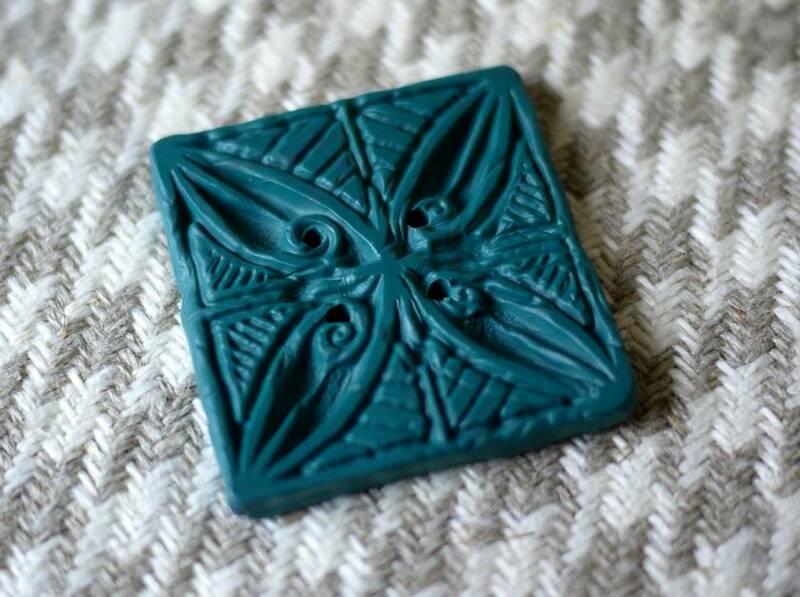 This stunning teal button is handmade out of fimo. The clay's colour is blended by hand, then moulded and baked in the oven. It would be an eye catching detail on a jacket, bag, cushion, cardigan etc. It has 4 holes for thread and is washable but can't be dry cleaned. It is 4 cm square and 5 mm thick.